On October 25th we held the Halloween dance and danced 4 squares to Chris Jacobs most of the night. We had guests from Hubs, Brecksville, Lake Erie, Medina and North Coast. Hopefully I didn’t miss any club because I forgot to look at the sign in sheet. 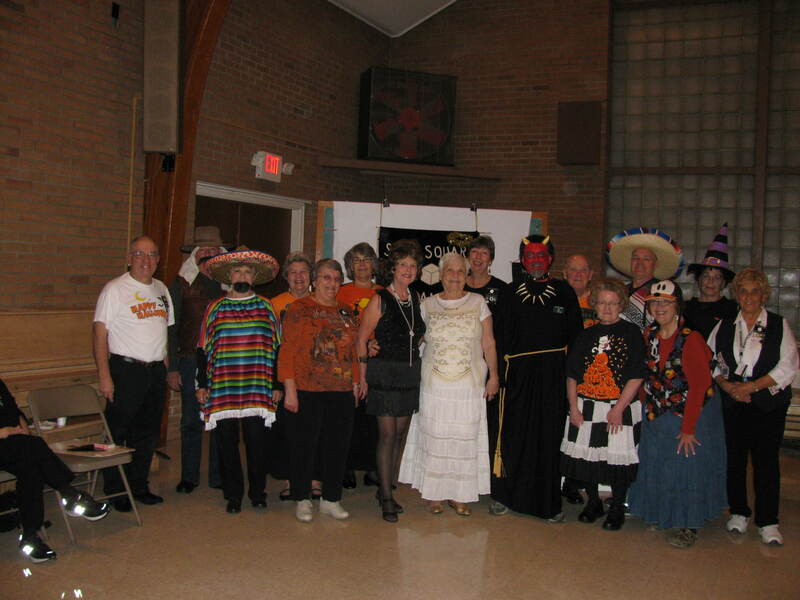 Here is a picture of the dancers that came dressed for Halloween some more then others. Everyone had a good time and the snack table had quite a varied selection so nobody went away hungry. We had Danny Beck call for us on 9/13 to the enjoyment of all that were there and we had nothing but good luck. We danced 4 squares most of the night and we were banner raided by Brecksville and Medina. 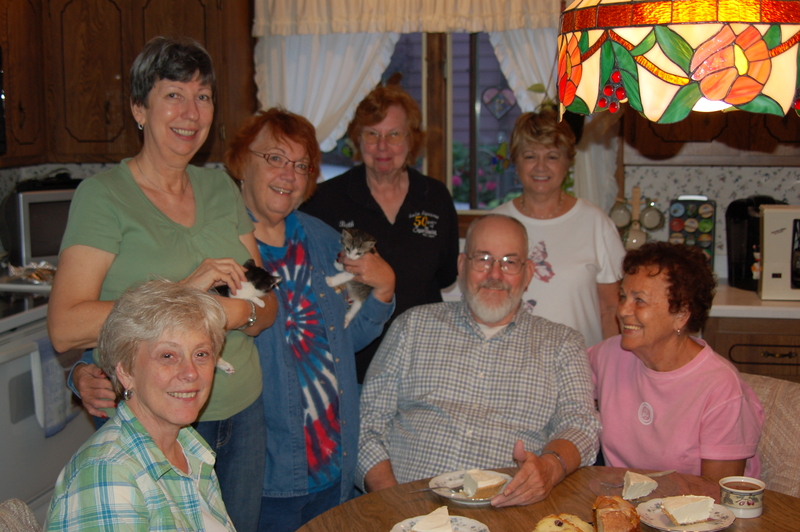 We were visited by a couple from Temple Twirlers located in Florida and enjoy their company. We are going to have to make a more concentrated effort to banner raid as we are out of banners and the only banners that we know the locations of are Brecksville and Medina. If anyone is out to a dance and sees one of our banners PLEASE let Bob Davis or Erika Toth know where you saw the banner so that we can schedule a banner retrieval at that club. Thank You! Lore Labuda won the free dance pass for bringing in a treat for us to enjoy and Jim Masuga won the fifty-fifty. The Solo Square Dance Club provided the people power to assemble the September/October Tip Topper and in the above picture provided by Beth it seems that Don is surrounded. Thanks to Betsy, Erika, Susan, Beth, Carolyn, Betty and Don for representing the club.